Over a span of decades, three different teachers at the same Ottawa high school preyed on students. Now, for the first time, some of the victims are speaking about what they endured. Revelations about decades of historical abuse at an Ottawa high school may be disturbing, but are unfortunately "far too common," according to an expert on issues related to children and the justice system. "One might think that this is an isolated example, unfortunately we've had cases like this from coast to coast to coast," said Nicholas Bala, professor of law at Queens University. "We've had many survivors of these acts of abuse," he told The Current's Anna Maria Tremonti. 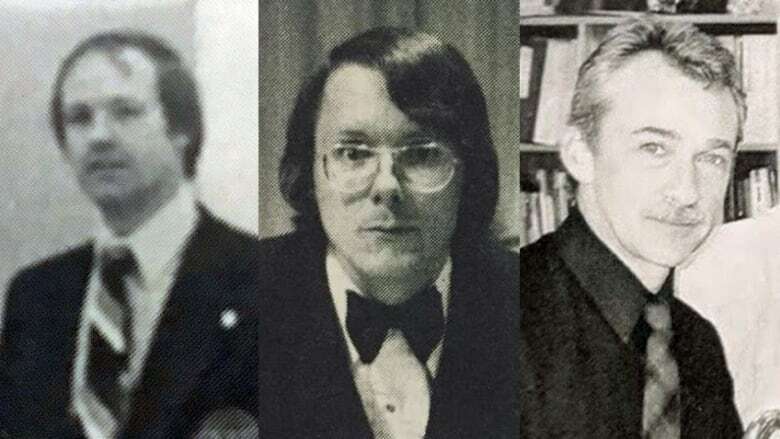 A CBC News investigation found dozens of students were abused by three teachers at Bell High School in Ottawa over a span of decades. Parents and teachers raised concerns about two of the men, but the CBC found no evidence that school board administrators either notified police or carried out thorough investigations about incidents that began in the 1970s. Julie Ireton, CBC Ottawa senior reporter who spent months investigating the abuse at Bell High School. Nicholas Bala, professor of law at Queens University and an expert on issues related to children, youth and families in the justice system. Nick Scarfo, a former principal who is now an assistant professor at the University of Toronto's Ontario Institute for Studies in Education. With files from CBC News. Produced by The Current's Kristin Nelson. The original recording said Tim Stanutz killed himself. The audio has been edited to remove this statement because we did not include the appropriate attribution to multiple police sources.